Missing teeth can make it extremely difficult to smile around friends and family. Thankfully, dental implants can make that process that much easier after placement. But many people don’t realize that dental implants are far more than simply a cosmetic solution to missing teeth. 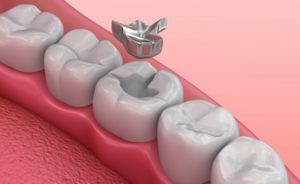 In fact, the restorative benefits of dental implants are truly unique compared to more traditional solutions, such as bridges and dentures. What do these benefits include? Here’s what you expect after completing your dental implant treatment! One moment you’re eating one of your favorite foods, the next moment you notice something loose inside your mouth. You notice that it’s quite hard and after spitting out the foreign object, you quickly realize that your dental filling has fallen out! While not all cases of a loose or dislodged dental filling are an emergency, it’s not something that you should ignore. 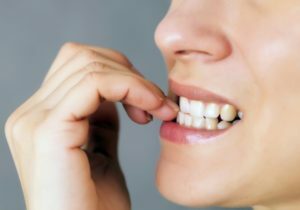 To learn the most common causes of loose fillings and how an emergency dentist in Zionsville can help, keep reading! 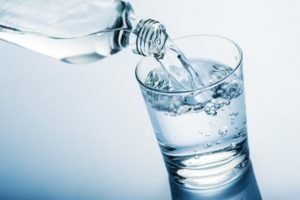 Do you suffer from dry mouth? This common problem has many possible causes, from medication side effects to salivary gland conditions. You can help to manage the symptoms by sipping water, avoiding caffeine, and chewing on sugarless gum. Obtaining long-term relief may require a visit to your dentist in Zionsville. Bonding or a Dental Crown in Zionsville: Which Is Better? Do you have chipped teeth? Don’t feel bad; you’re not alone. Tooth chipping becomes ever more common as we get older. Fortunately, dental medicine has several ways of dealing with this problem. Two of the most common approaches are composite bonding and a dental crown in Zionsville. But which option is better for you? Let’s take a closer look at both. Comments Off on Bonding or a Dental Crown in Zionsville: Which Is Better? These days, everyone’s looking for ways to be more efficient. Modern life is busier than ever, so getting more done in less time is a win-win situation. And when it comes to having a great smile, any effort spent on keeping your teeth and gums clean is well worth it. The better your oral hygiene habits, the less dental work you’ll need from a Zionsville dentist in the long-run – which everyone can agree is a good thing. Keep reading below for 7 hacks that will keep your smile healthy and happy! Can My Dental Products Expire? If you use dental products at home, you’re doing your smile a favor by keeping it clean and healthy. However, using items that are expired don’t give you all of the oral health benefits that you may have hoped for. Keep reading to learn some expert oral healthcare tips as well as when it’s the right time to change out your oral health products to avoid expiration. Comments Off on Can My Dental Products Expire? Everyone has daily habits they get used to, both good and bad. Daily habits like exercise and brushing and flossing are healthy, but did you know there are some things you could be doing everyday that hurts your oral health? Overtime, you may have formed some bad habits that affect your teeth without even knowing it. 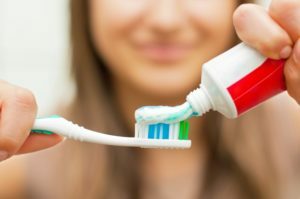 Read on to learn some common daily habits that affect your oral health poorly and how to break them from a trusted dentist in Zionsville. 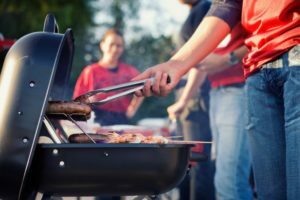 As the sun beams down, it’s natural to want to get outside and enjoy some tasty BBQ with friends. Still, you want to do it in a manner that doesn’t harm your oral health. Is that possible? Your dentist in Zionsville says it is and weighs in with some simple yet effective tips to prevent any oral health problems. A dental crown is a type of restoration commonly used for severely decayed or damaged teeth. 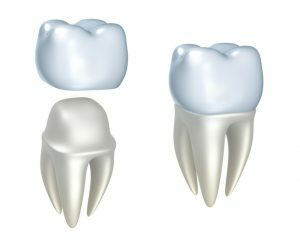 After you have a dental crown placed, you can usually expect the tooth to stay healthy and sturdy for many years to come. However, you may also notice a dark line under the crown either right away or after several years. If this happens, it does not necessarily denote an issue. 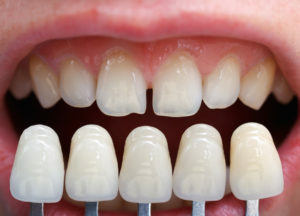 Keep reading to learn why it may a dark line may appear around your dental crown — and what to do about it if it does. Whether you are a 40-year-old working parent or a 10-year-old carefree child, maintaining good oral health and preventing tooth decay should be a top concern. Brushing twice every day, visiting the dentist regularly and avoiding sugary foods can all help prevent cavities from forming on both primary and adult teeth. However, even the most diligent patients may still find themselves struggling to control tooth decay. If this sounds like you or your child, you may want to explore dental sealants as an extra level of protection for your smiles. A dentist in Zionsville weighs in below on why dental sealants can be an effective solution for both children and adults in preventing tooth decay.